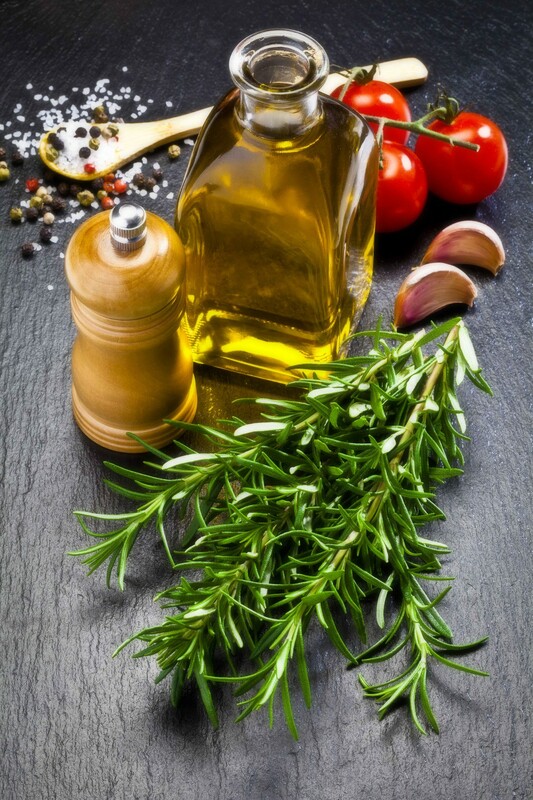 Light olive oil carries the mildest taste and scent of all types of olive oil. Because of this, you will barely notice that you used olive oil in your brownies instead of the usual vegetable oil (a type of unflavored oil). Pure olive oil is another type of olive oil that has minimal flavor. It is also mildly scented. If you want to use a light-flavored olive oil in your brownies, this type of oil would make for a good choice. Refined olive oil is also mildly scented and mildly flavored. Like the light and pure olive oil varieties, using this type of oil in your brownies will be hardly noticeable. Extra Virgin olive oil has a strong aroma and taste. Compared to the previously mentioned types of olive oil, its taste and aroma are noticeable. Using extra virgin olive oil in a brownie recipe can result in a somewhat off-tasting brownie. 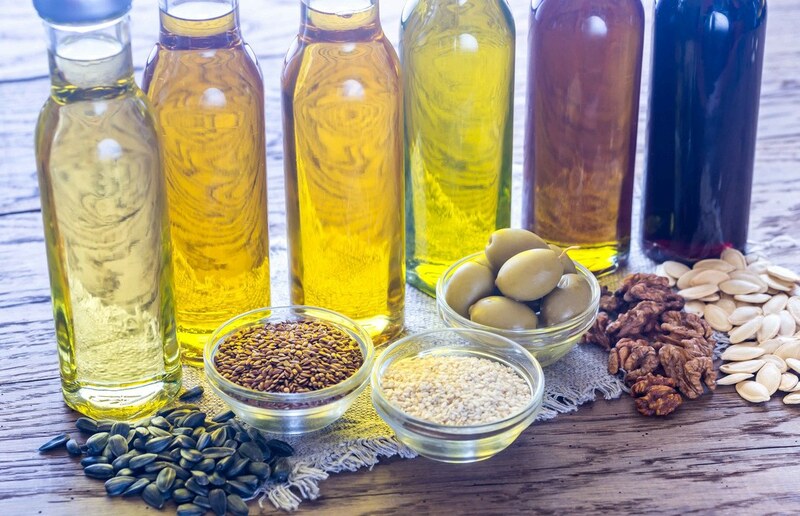 If the instruction calls for vegetable oil, you can use a light or mild type of olive oil as a substitute. Also, in doing so, use the same amount of olive oil as required if you were to use vegetable oil. Don’t use extra virgin olive oil as it has a very strong taste (and aroma). Remember, brownie mixes only carry mild chocolate flavor (compared to homemade) – so, the distinct taste of extra virgin olive oil will really stand out in the final product. When making brownies from scratch, you can use any type of olive oil – yes, even extra virgin olive oil. If you have to use a strong flavored olive oil in your homemade brownie recipe, simply increase the amount of chocolate ingredients to mask its distinctive taste. 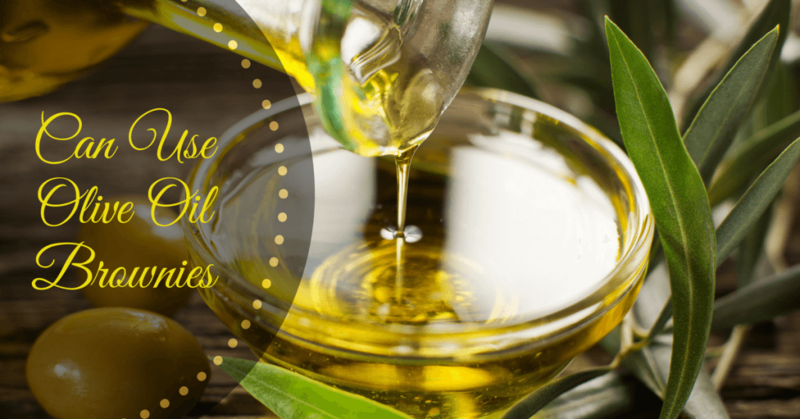 You can use olive oil instead of vegetable oil. When you sense the taste of olive oil in the batter, add more chocolate to the mixture until you find the right taste (or balance). While you can substitute olive oil for butter, remember that olive oil carries a different flavor from butter. Use ¾ teaspoon olive oil to substitute for 1 teaspoon of butter. Use 2 ¼ teaspoon olive oil to substitute for 1 tablespoon of butter. Use 3 tablespoons of olive oil to substitute for ¼ cup of butter. Use ¼ cup + 2 tablespoons olive oil to substitute for ½ cup butter. Use ½ cup + 1 tablespoon olive oil to substitute for ¾ cup butter. Use ¾ cup olive oil to substitute for 1 cup butter. Olive oil has healthy fat content – It helps in combating killer diseases like cancer and diabetes. Healthy fat is also good for the heart. Olive oil carries antioxidant properties – Antioxidants help protect the body from different types of diseases. Eating food rich in antioxidants also slows down the aging process. 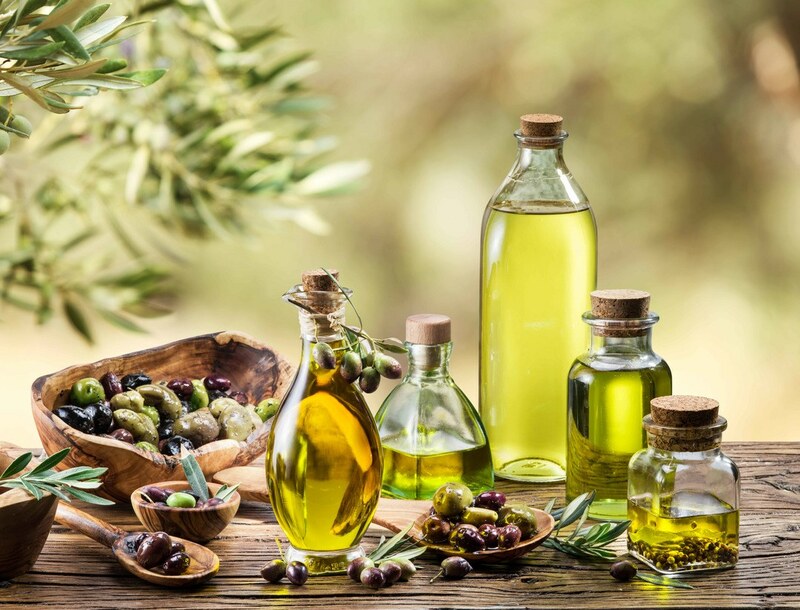 Olive oil comes with anti-inflammatory properties – Inflammation and swelling are prevented (inside and outside the body). Canola oil – Just make sure that it’s non-GMO. Corn oil – It’s good for heart health as it can lower bad cholesterol. Coconut oil – You will benefit from its flavor and nutritional content. Peanut oil – It’s low in fat and cholesterol content. 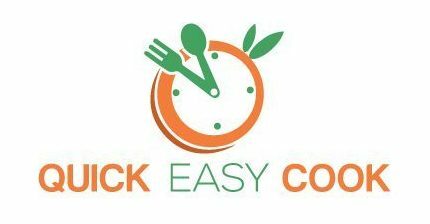 Use only egg whites (or a few yolks) to reduce the amount of cholesterol in your food. Using olive oil instead of vegetable oil in brownie recipes won’t affect the texture of the final product. 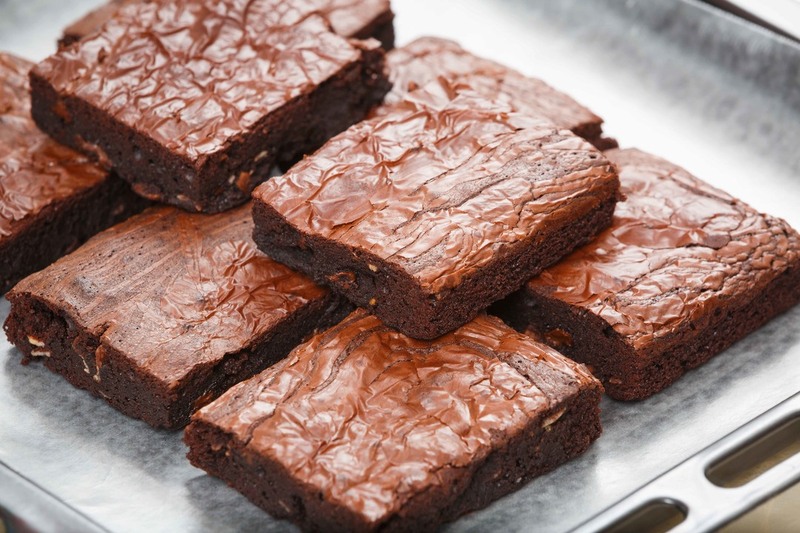 If you use olive oil instead of vegetable oil in your brownies, expect it to have a mild fruity taste. This actually complements the chocolaty taste in brownies. 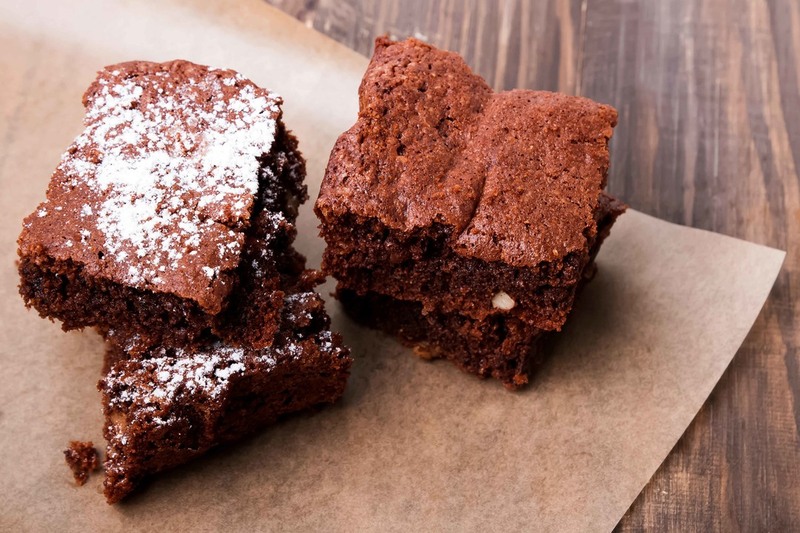 The reason why vegetable oil is typically used in brownie recipes (and other baked goods, for that matter) is that it’s unflavored. However, know that it’s high in fat and can be bad for your health (especially if you have heart issues). Butter is another typical brownie ingredient. Its effect in baked goods is that it makes the texture rich and a bit chewy. Needless to say, it also adds flavor to the food and makes it tastier. One of the reasons why you’d want to replace butter with olive oil is that butter is high in fat. Q: Can you use olive oil instead of vegetable oil in a cake mix? A: Yes, you can replace vegetable oil in a cake mix, just as you would in a brownie mix. However, if you don’t want to alter the taste of your cake, make sure that you use mild-tasting olive oil (not the extra virgin, which is strong in flavor). Q: Can I use olive oil instead of vegetable oil in pancakes? A: Yes, you can use olive oil in making pancakes. Your pancakes will then have a fruity taste. Q: Can I use olive oil instead of vegetable oil in a cake? A: Yes, you can substitute vegetable oil with olive oil when making cakes. Olive oil is actually frequently used in homemade carrot cakes, chocolate cakes, pound cakes, etc. Q: Can you use olive oil instead of vegetable oil in cookies? A: Yes, you can use olive oil in cookies. If you don’t want a strong olive oil taste, however, use a mild type of oil (not extra virgin). I’m sure you’re all excited now to make brownies using olive oil. I encourage you to do so because olive oil is really beneficial to the body. As you already know by now, you can use olive oil not just for making brownies, but other types of baked goods as well. And again, if you’re like me (and like the taste of extra virgin olive oil), you can use it in your recipes. Keep in mind that extra virgin olive oil is the best type of olive oil because it’s the most nutritious. I also recommend using olive oil in making your other baked goods. It really tastes good in cakes and pastries – so, just go ahead and use it. If you incorporate it into these supposed-to-be-sinful foods, you’ll feel less guilty about it. If you found this article useful, do share it with others. I would also appreciate any feedback from you.